Never Take LiFe Seriously: Fudging Delicious Brownies! Brownies. Everybody likes them, those who say they don't like brownies are liars. Kidding. But seriously though, who doesn't like brownies? If you don't like it, there's something wrong with you. Again I kid! No seriously though. Brownies are like one of the best dessert there is out there and it taste awesome. Also, it's damn easy to make. On a boring day a few months ago, I decided to bake something and I decided that I'll make some brownies. Why? Baking doesn't need a reason. Well, I'm bored that's why. So I goggled for the recipe and that recipe happened to be awesome and also super easy to make. I used Van Houten Cocoa Powder because it's the best I can find. You can save on the cocoa powder, get the best stuff out there! The rest you can buy the cheap ones but not the cocoa powder and butter. It's what makes the stuff taste good, believe me. After everything has been measured and thrown in this bowl. This is how it looks like. Then just whisked away! You can use a mixer but I was too lazy to set up the mixer so I decided to just use the old faithful elbow grease and good old fashion whisk. Whisk it and make sure there's no lumps and everything is smooth and shiny then you know it's done. It would like a rich chocolate sauce and you just wanna dig in right away but please control yourself, be patience.....it would be done soon. Remind yourself that. LOL! Throw in the walnuts that has been chopped, Captain! You can chuck any nuts you want in the brownies. It's all goooood. But originally and usually walnuts is the nuts they would use in brownies. Who cares, life is too short for just walnuts. Throw in almond flakes or whatever you want in there. But I reckon walnuts will be the best. The amount is up to you. After that just mix it all. Baking is fun huh? Pour it all into a tray that has been lined with cookie sheet/ baking paper. Then just chuck the tray into an oven and bake at 180 C for 20 - 25 minutes. And now the tough part, waiting. It's only for 20-25 minutes though, go check your Facebook or clean up all the mess that you've made and most likely it would have been done by then. So easy to make and so good to eat. Ahhh...life's good. Let it cool first for like 15 minutes before cutting it into cubes. This step is very important or else you gonna end up with crumbles and not good looking brownies cubes. Be patience for a while more and you'll get nice looking brownies cubes that you can show off and post up in Instagram or Facebook momentarily. XD A good brownie for me will have like a cracky surface and soft and chewy and fudgy in the middle. Yums! Now the best part. ENJOY! Taste the scrumptious and delicious brownies that you've made. I've also made coffee brownies before and it's even better! I just went to Black Bean Coffee and ask the friendly lady tauke there to made me an espresso for making brownies. She blend a few different kinds of coffee beans together and made an espresso out of it. Then I just mix it in the brownies batter and bake it. And it came out good and taste amazing. Coffee/chocolate cake. So good for tea time. I prefer to use local coffee bean and not instant coffee. I reckon instant coffee powder would work as well. HAHA. But I like the taste of the coffee at Black Bean Coffee, it's locally sourced coffee bean which I love love love. That's why Black Bean Coffee would always be my favourite cafe in Kuching. wow easy breezy! that's good stuff! i shall try my hands on it soon! 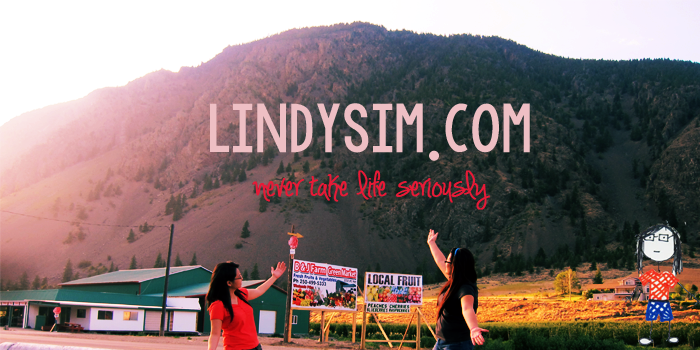 Have a good week ahead Lindy!